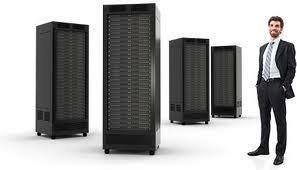 Many web hosting companies offer reseller hosting plans which is an easy way for others to act as web hosts. The reseller buys an account and creates other accounts under his own brand name. Normally the reseller is responsible for looking after all aspects of the hosting but some companies offer end user support, and in that case, the customers get support from the parent hosting company. In Thailand, thaihosting provides attractive reseller hosting plans with great features and benefits. While there are hosting companies who make contract with the reseller and charges per client basis, most of them offer different packages from starter to premium bundled with large amount of disk space, high bandwidth, several domain names, subdomains, DNS administration and email accounts. The reseller can pass many features to their customers similar to those offered to clients of the parent hosting provider and such features may include control panel, site builders, scripts, FTP, multiple email accounts, and monitoring tools. Here the parent hosting company is completely invisible to the customer while getting all of its services and features. The reseller needs to earn the reputation through quality service to be able to sustain in the competitive reseller hosting market. They should give matching or higher level customer service than the parent host to become popular in the industry. Unless the reseller is not with a reputed parent company, no quality service can be passed to the customers. There are reseller companies who decrease the features or sell the various plans at a higher price than what is offered by the parent host for similar service. A reseller hosting is beneficial for a person or a company who wants to publish several websites having high traffic because only one account is needed instead of several accounts. Almost all reseller plans generally include greater features than the general plans because of the wholesale selling of the plans. Such features may include unlimited SSL, cPanel and multiple email accounts with unlimited storage. See all about our Reseller program here No self maintenance is required in case of a reseller plan because the hosting company will take care of the technical problems. Reseller hosting plans generally cost very less compared to dedicated and virtual servers while giving comparable benefits. When all the available resources are not completely used after purchasing a reseller plan, any extra space and bandwidth can be sold to others making additional revenue while hosting the customer’s own site.